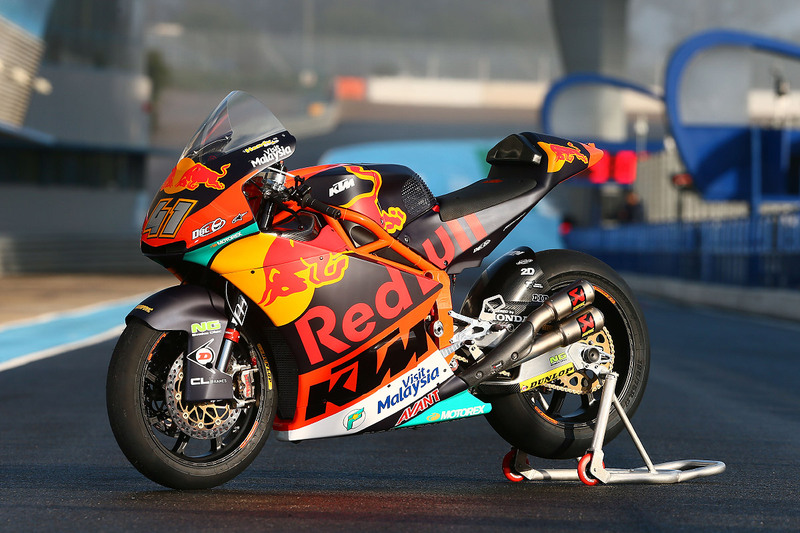 Last year, KTM made headlines at the South Africa Bike Festival by bringing their newly built MotoGP racer. With such a celeb machinery making an appearance, you think it would be hard to top that, but in many ways KTM has done just that. On the KTM stand at this year’s South Africa Bike Festival, taking place this Friday, Saturday and Sunday at the Kyalami Grand Prix Circuit, will be South Africa’s own Brad Binder’s Moto2 race machine. The bike is run by Binder’s Red Bull Ajo Team. 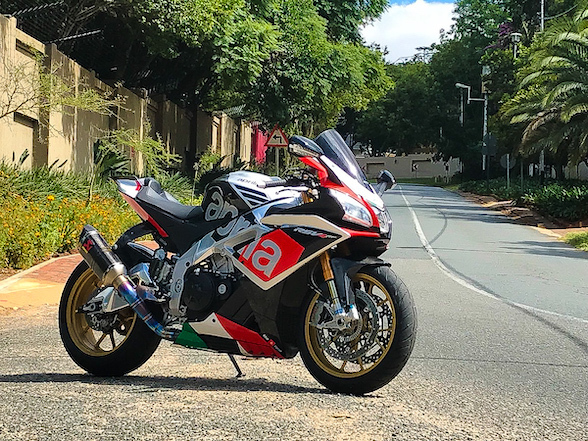 Like all Moto2 machines, the spec motor is based on that of the CBR600RR in-line four road bike, except HRC has had a good go at it and now it produces a meatier 130hp. The chassis is what makes this bike special. 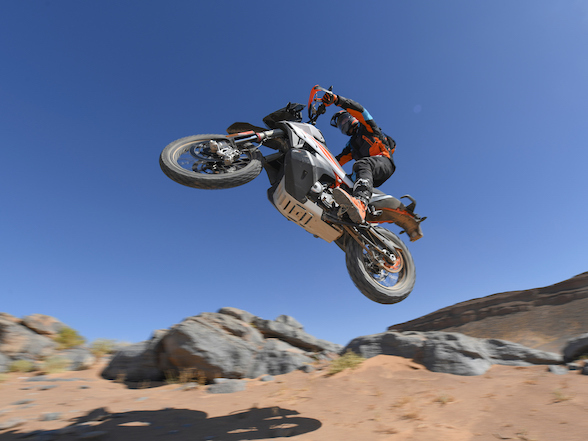 It is designed almost entirely by KTM and their in-house suspension company, WP. The frame is a steel-trellis design, a signature feature of all KTMs. While the Japanese, Italians and KTM’s Moto2 nemeses Kalex prefer a delta-frame aluminium unit, the steel-trellis has the advantage of being relatively easy to redesign and build, meaning updates can be done quickly. 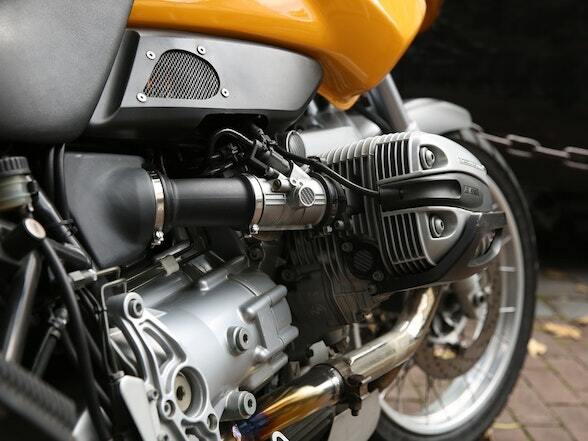 Suspension is of course developed especially for this motorcycle by WP. 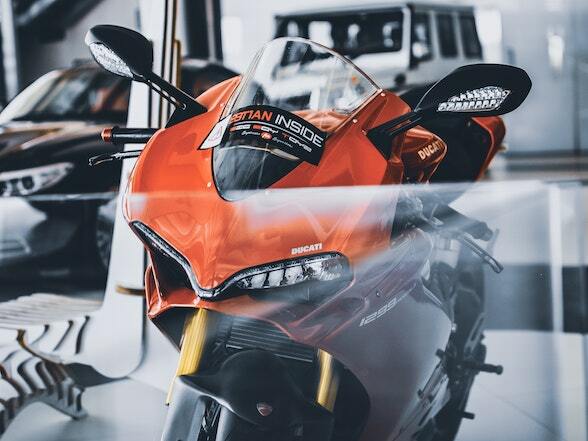 The rest is done by third parties – the exhaust is specially built by Akrapovic, the brakes are by Brembo, the tyres are by Brembo and so on. The value of this machine is an interesting topic. 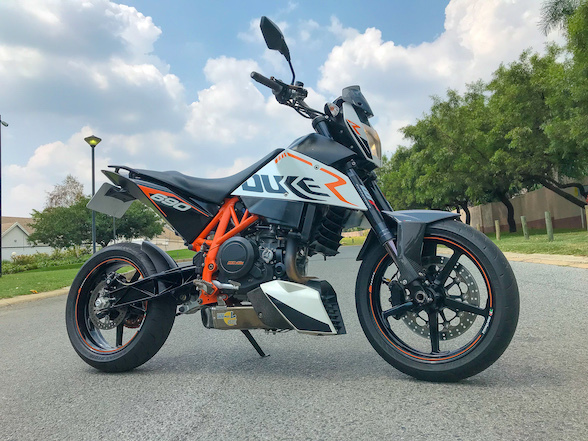 The KTM machine is not available on showroom floors, and is only available if you have a Moto2 team, a huge bank balance and great negotiating skills. In German. Basically, you and I cannot currently own one. 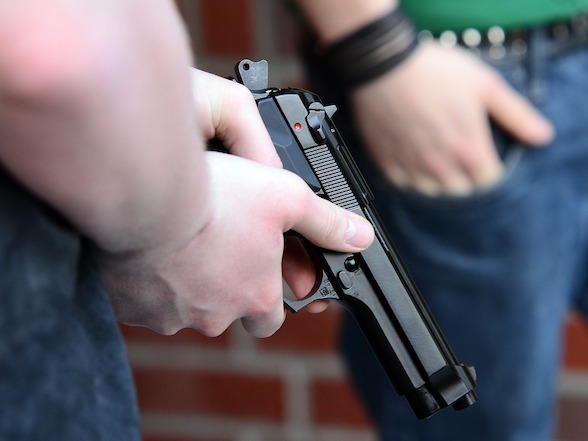 If we look at the used market, we do get some indications. 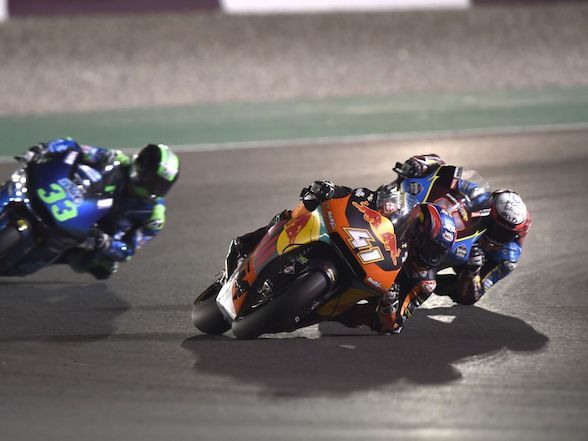 Tito Rabat’s Kalex machine was on sale for R1 million. And this is a four year-old machine. 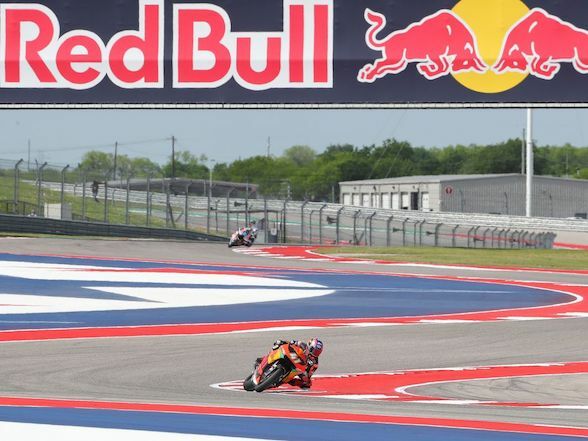 Binder’s Moto2 machine has been flown in specially for the show, and as expected will be on a plane back to Austria directly afterwards, meaning this is a rare chance to see it up close. The South Africa Bike Festival is taking place this weekend (25-27 May 2018) at Kyalami. Tickets are available at www.southafricabikefestival.com. 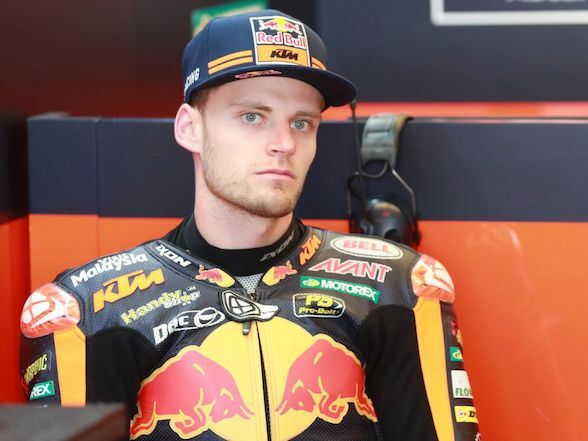 Previous Post Brad Binder at Le Mans: "I was unlucky with the Baldassarri crash"